Nelson BRIOU holds a Master’s degree in Public Law, which he obtained with honors at the Université libre de Bruxelles in 2015. After two years working for the Minister of Higher Education of the French Community of Belgium (Communauté française de Belgique), he was sworn in before the Brussels Bar in September 2017. 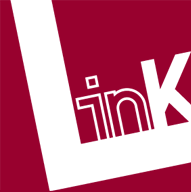 He joined the law firm LINKLAW in 2018, where he has been practicing public and administrative law with Mr. Augustin DAOÛT. He is currently completing a specialized Master’s program in public real estate law and environmental law at the Université Saint-Louis.